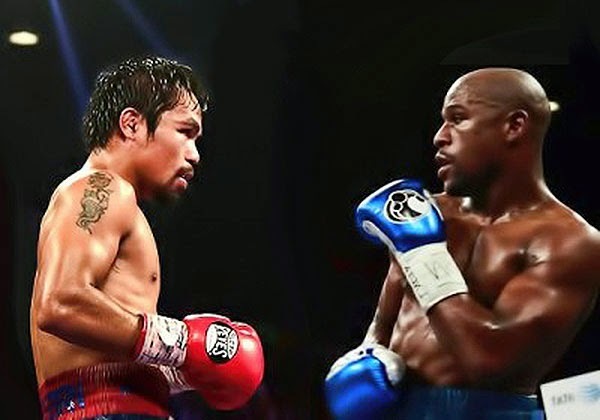 After 5 years, undefeated American boxer Floyd Mayweather Jr. has finally decided to fight Filipino boxing icon Manny Pacquiao on May 2, 2015. In an interview on the Showtime network, the five-division world champion for the first time called for the highly anticipated match to happen next year. He even gave the date, reports the Associated Press via ABC News. Although he verbally agreed to face Pacquiao in the ring, Mayweather has set a condition: he should be taking a much bigger purse. Meaning, if he will earn over $100 million, Pacquiao will probably get around $40 million or even less. "You lost twice and now you're coming back begging for the same money?" Mayweather reportedly asked. "That's not gonna happen." Following his win over Chris Algeiri in November, Pacquiao has reportedly been telling some members of media that he wants Mayweather to be his next opponent. His promoter, Bob Arum, has been in talks with CBS Corp. chairman Les Moonves about the proposed fight. CBS operates Showtime, which has Mayweather under contract for two more fights in 2015, according to the AP report.